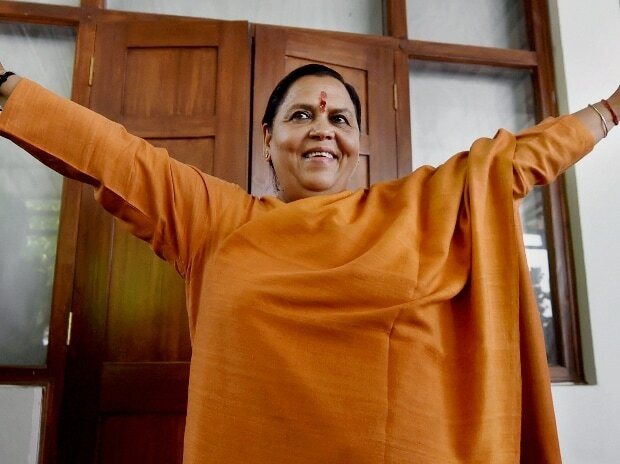 BJP leader and Union minister Uma Bharti Sunday said it is for L K Advani to clear the "mist", after the veteran leader was not named as a party candidate for the Lok Sabha elections, and asserted that his stature was not affected by contesting or not contesting any poll. Bharti said it was Advani who played the central role in bringing the party to such a position that Narendra Modi is prime minister today and added that he never craved for any position in his long political career. She was responding to questions on the party's decision to not nominate him from Gandhinagar, a seat he had been winning since 1998.BJP president Amit Shah will contest from the seat in the coming general election. A number of veteran leaders, including Shanta Kumar, B C Khanduri and Kariya Munda- all in their 80s- have not been fielded by the BJP in the polls, seen as part of its strategy under Modi and Shah to ease them out and groom younger leaders in their place. Some of them had expressed their wish to not fight the coming polls.